Canada’s Amaya Gaming announced that its PokerStars online poker site took its first sports wager on Tuesday following the beta launch of its new sports betting product. Amaya, which completed its $4.9b purchase of the Rational Group’s assets – including online poker giants PokerStars and Full Tilt – in August 2014, reported revenue of C$368.6m in the three months ending Dec. 31, up from just $37m in the same period the previous year. Adjusted earnings came to $154.6m, up from $16.7m. But actual Q4 earnings came to a loss of $26.7m compared to a loss of $6.8m. Reflecting Amaya’s shift from a B2B to a B2C focus, sales and marketing costs leaped from $2.8m in 2013 to $63m last year. The full year numbers were similar, albeit on a smaller scale, reflecting the half-year contributions from the Rational assets. Revenue rose to $688m, adjusted earnings came to $292.7m and net losses came to $7.5m, down from $29.2m. 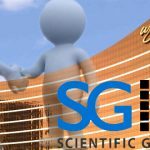 Acquisition costs rose from $1.3m to $22.4m. For 2015, Amaya is predicting revenue of between $1.62b and $1.74b, of which B2C operations are expected to generate over 90%. Adjusted earnings are expected to come in between $670m to $715m. The recent imposition of new value added taxes on the European continent and the 15% point of consumption tax in the UK are expected to cost the company an extra $45m this year. Product-wise, PokerStars plans to launch online slots across its .com business in H1 with a full online casino suite of products to follow. 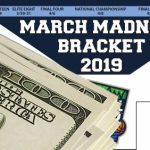 The beta version of Stars’ new sports betting product is tipped to launch “in certain jurisdictions in the near future, with rollout to other markets across the .com network through the next two quarters of 2015.” A mobile betting product will follow. 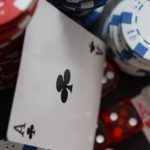 Continuing with its plans to offload its B2B assets, Amaya said its deal to sell its superfluous Ongame poker network to NYX Gaming Group also contained a right of first offer to purchase Amaya’s other B2B software assets, including Cryptologic Ltd. and Amaya (Alberta) Inc. (formerly Chartwell Technology Inc.). This right of first offer expires on Dec. 30, 2015. The Toronto-listed Amaya announced it had applied to list its shares on the Nasdaq Global Select Market. Amaya expects to be trading on the Nasdaq no later than October 2015. Baazov offered no further insight as to its plans for the Canadian market, with respect to last week’s announcement that the province of Quebec intends to offer some path for licensing for select private operators. On the post-earnings call with analysts, Amaya CEO David Baazov (pictured) celebrated Amaya’s transformational year. 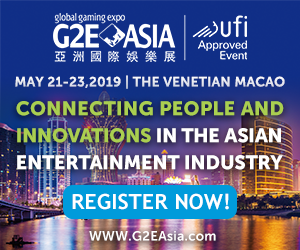 Despite expansion of Stars and Full Tilt into new verticals, Baazov insisted that Amaya would remain a “poker-first business” and the company plans to “double” its poker business over the next five years. Amaya plans to accomplish this growth primarily via entering into new markets. 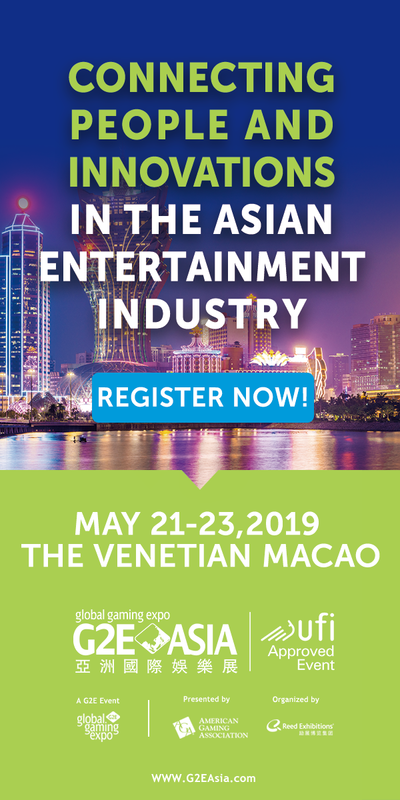 While Europe currently accounts for 60% of Amaya’s business – with the UK, Italy and Spain accounting for 20% – Baazov said Amaya was working with regulators in “select” Asian countries with large populations to provide and regulate online poker. Baazov believes the imposition of the UK’s POCT is forcing other operators to reduce their marketing in order to preserve their earnings margins. Baazov said Stars had the lowest cost per acquisition in the online gaming industry and would further boost marketing in order to poach market share from these penny pinchers. 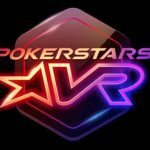 PokerStars full sportsbook rollout is expected to be finished by Q3 although Baazov insisted Amaya would take its traditional “measured approach” to ensure there were no missteps. Baazov believes sports betting will be a “very significant” vertical, ultimately eclipsing casino to become Amaya’s second biggest moneymaker. 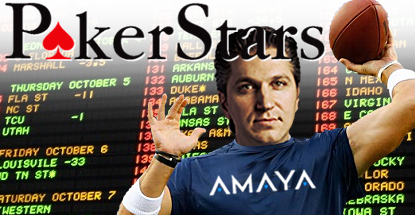 Baazov said Amaya would provide more details on its daily fantasy sports plans in the second half of 2015. Bottom line, Amaya hopes to have its ducks in a row before the start of the coming NFL season. Amaya is pursuing a parallel strategy of both internal development and strategic acquisition, although Baazov said Amaya wasn’t sure there was a DFS platform out there that could handle Stars’ current player volume. On the casino front, Baazov said Full Tilt was enjoying a cross-sell of over 30% and that gross casino yield was double than of poker. Stars has so far rolled out just blackjack, roulette and live dealer products (with baccarat and slots in the pipeline), yet casino yield was already 1.5x poker yield. Baazov said a “significant majority” of casino wagering was “on top of rather than cannibalizing” the poker product. 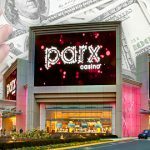 Mobile channels accounted for “almost 60%” of new customer acquisition in Q4 and Baazov believes mobile will drive the new sports and casino offerings. A browser-based casino is expected to make its debut in 2015.